We all know that the digestive system of children is more vulnerable to various diseases, and often requires a quick, painless way to diagnose. One such method is ultrasound of the stomach and esophagus – examination based on the physical property of ultrasonic beams reflected from the soft tissue of the body. Often the child is very difficult to conduct a full examination, including fibrogastroscopy, therefore, ultrasound may serve as an alternative for the primary diagnosis. Method is more comfortable for the child, but its informative value is much lower than that of gastroscopy – ultrasonography not do a biopsy to clarify the nature of the disease, and many abnormalities not visualized on the monitor. During diagnosis, the doctor examines the large and small curvature of the stomach, pyloric sphincter, body of the organ, the ampulla of the duodenum, channel, and cave of the pylorus. In addition to these symptoms, an ultrasound of the stomach and esophagus do if you suspect a narrowing of the esophagus, as well as during routine newborn screening to detect congenital abnormalities of development. The older children ultrasound examination performed for suspected gastritis, esophagitis, GERD (gastroesophageal reflux disease), hernia of the diaphragm with prolapse of the organs. Ultrasound of the stomach and esophagus allows to detect pathological tumors in the early stage of development. Well as the examination may clarify the localization of foreign objects accidentally swallowed by the child. Ultrasound of the stomach always do on an empty stomach. Time of fasting and diet depend on the age of the child. The newborn examination is carried out immediately before feeding, with time the last feeding should be at least three hours if the child is breastfed — breast milk is digested easier than a mix, its digestion takes about four hours. The mother also has to stick to a diet – do not eat foods that increase gas. 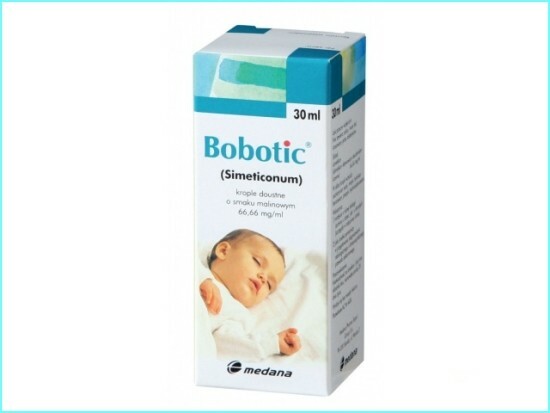 In the case when the child suffers from flatulence, three days before the procedure, the mother starts to give the baby carminative drugs – «Espumizan», «cough syrup», «Infakol». This is necessary for better visualization – distended loops of bowel can block the access of ultrasonic waves to the stomach and complicate diagnosis. Children older than one year and up to three years, in the case where you have already entered a full feeding, preparation starts the day before the survey. The child is given cereal with water and boiled meat, and eliminate the fruit and vegetables. Before the procedure, an empty period must be at least 4 hours. As a suitable drink plain water, but a half hour before the ultrasound to exclude her. If the child is older than three years, then the preparation for the examination starts in three days. Correct diet, eliminating gas-forming foods – brown bread, sweet aerated water, beans, fresh fruits, sweets, cabbage, fresh and pickled form, milk and milk products. For three days before ultrasound is recommended to prepare child porridge on water, boiled lean meat, fish. Fasting before the procedure is six hours, one hour before examination is prohibited to drink even water. In the case when the study of the stomach and esophagus scheduled for the afternoon, in the morning a light Breakfast is allowed with a mandatory six-hour break before an empty ultrasound. The mother must care comfortable clothes that are easy to raise for Baring the abdomen. If you suspect a narrowing of the esophagus with a need to grab a bottle of water or formula is needed for diagnostic manipulation. Correct preparation for the procedure is an important part of the survey. In violation of simple rules, the survey becomes less informative, and the procedure must be repeated another day. For the survey, the child should lie on his back. Small child’s mother puts on the diaper and bare tummy. The older children themselves naked to the waist and lie down on the couch. 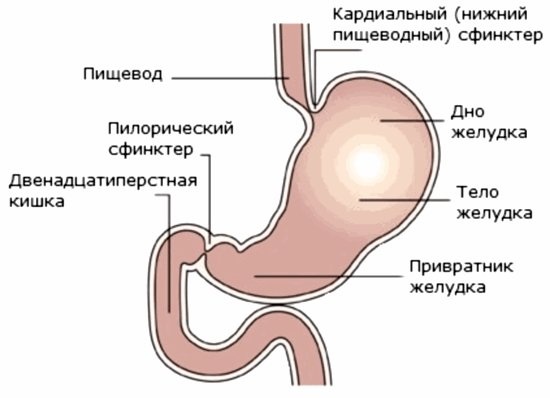 In place of the projection of the stomach and esophagus is applied a special gel that improves the contact of sensor with skin and conductive of ultrasonic beams. The specialist places a sensor in the epigastric region, thus changing the angle for better visualization of different parts of the stomach and esophagus. In the study, you may need to swap the position of the body on the side or the child may be asked to take a semi-sitting position. The doctor evaluates the thickness of the walls of the stomach (normal from 4 to 8 mm), differencial their layers, pay attention to the shape of the side cut (normal oval or round). In that case, when the ultrasound of the esophagus is appointed if there is suspicion for pyloric stenosis, the child is given to do a couple of SIPS of water, and the doctor observes the nature of the advancement of fluid through the esophagus. If there is a contraction time of lowering of the liquid in the stomach will be increased. At the end of the procedure, the doctor generates a report that describes the detected pathology. This conclusion should consult your doctor. Despite the comfort and quick methods, ultrasound cannot completely replace gastroscopy, so it is often to clarify the diagnosis may require and this unpleasant procedure.